As the level of talent in freestyle continues to improve, it is only a matter of time before we see the first 4-rev trick landed. But who will be the first to do it? Only time will tell, as the current crop of top freestylers all have their eyes on making history. 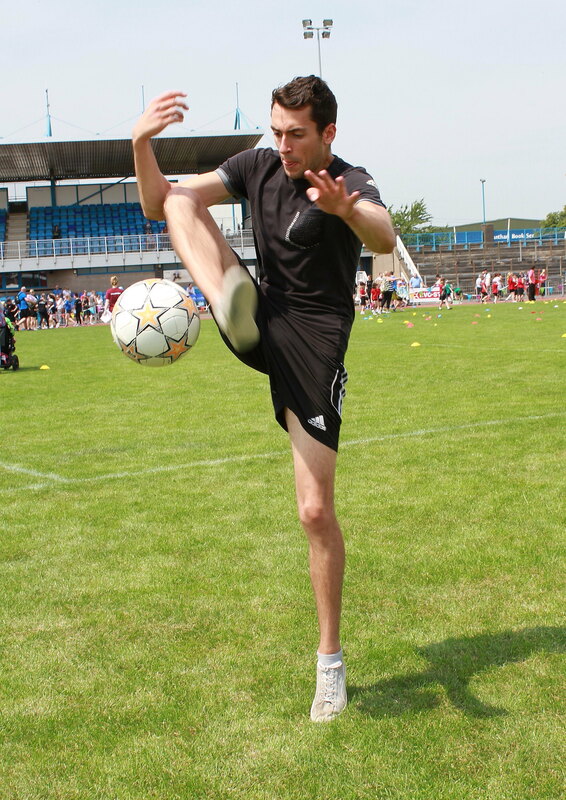 Believe it or not, there was a point in time where someone could do 100 kick ups and leave crowds in absolute awe. 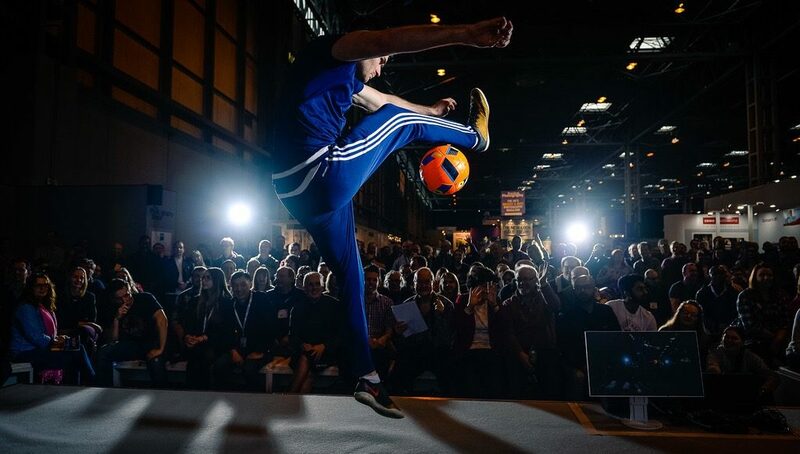 Freestyle football has made monumental strides from this and the boundaries of what is possible with that object we call a football are continuing to be smashed. Arguably the most popular or dominant category within freestyle these days is lowers. Many freestylers have produced some truly jaw-dropping lowers tricks and combos that really boast a powerful, raw and technical side of our sport. However, we’re still looking onwards toward the next milestone. I recall many years ago sitting in my mate’s kitchen watching some freestylers on YouTube and seeing Palle do the very first PATW on camera (a Triple Around the World for those not familiar). This being the first three-revolution trick successfully executed and unveiled to the world, we were absolutely amazed. However, as 3-revs have become somewhat child’s play to many, a topic that has become more openly discussed is the possibility — or even inevitability — of the first four-revolution trick. As touched upon earlier, there has been a constant progression of insane tricks in freestyle. With that progression, we have begun to see some “faux 4-revs” which at first glance may appear to involve four revolutions around the football. Two examples that come to mind are K3vin’s ‘No Gravity’ PATW with an extra revolution sandwiched in there, as well as the quirky quick switch that Mikolaj came up with. Not to take anything away from these sorts of tricks, as they are insanely difficult and require your legs to move like an action figure. However, it seems we are still eagerly waiting for more. The general consensus seems to be that we are yet to see a legitimate and “conventional” four-revolution trick where the body faces the ball the whole time, like the majority of lowers moves. With each additional revolution around the ball, the difficulty of landing the trick increases exponentially. So to go from juggling to one ATW is barely anything to anyone who calls themselves a freestyler. Once you go from one revolution to two, you can begin to feel the increase in difficulty. The jump from a 2-rev to a 3-rev is even more substantial, and that represents the separation between moderate and advanced lowers. Needless to say, going from a 3-rev to a 4-rev is nothing short of a gaping chasm of challenge. There’s a lot of amazing freestylers out there who have been constantly breaking the limits of lowers in this sport and at times show no signs of slowing down. 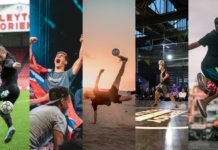 To name just a few, Alekseev, Ethan Altmann, Memo, Luca Chiarvesio, Akim Kovalev, Tom Folan, and plenty of others have their bars set incredibly high. Right now it feels like there are quite a few possible candidates out there who have a good chance of landing that elusive 4-rev on camera for the masses. 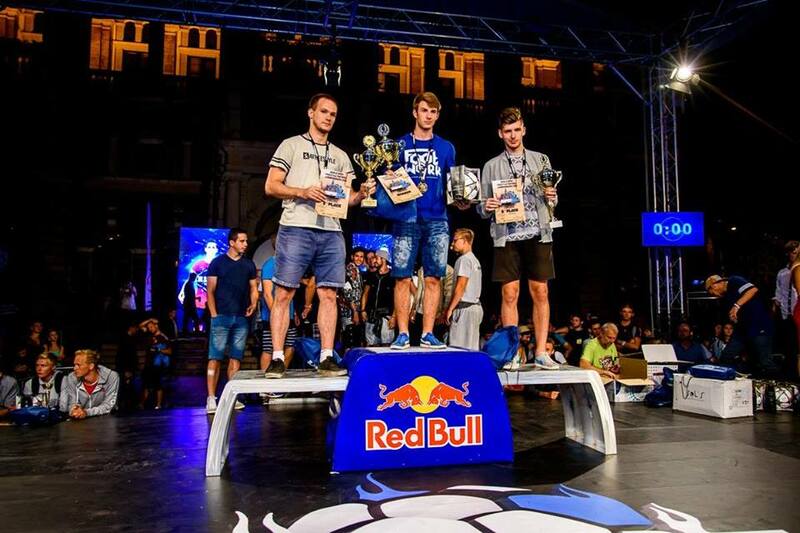 Ars Klementev (Russia), Luca Chiarvesio (Italy) and Timur Alekseev (Russia) have all been some of the sports ‘top dogs’ in the Lowers category in recent years. Here they are at Superball 2016 collecting their trophies for the Challenge event. On the face of it, some may feel those who train with a Monta Ball or a ball smaller than size 5 are going to have a clear-cut advantage when it comes down to making revolutions around the ball. 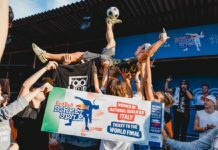 At this year’s Lubasz Freestyle Night competition, many crowded around to watch Dawid ‘Lipa’ Lipski with his attempts at a Quadruple Around The World. Judging by the video, what was many years ago considered an impossibility is much closer than we first thought. 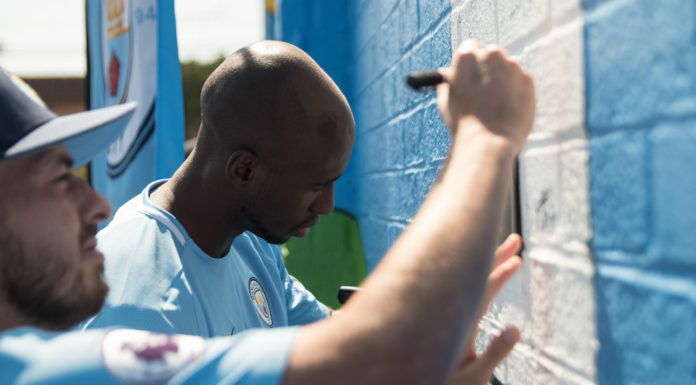 One of the beautiful things about freestyle football is as soon as someone lands a new trick, the creative ideas for how to evolve and improve upon that are often already in motion. This is why right now it’s exciting times to see that it is more of a question of ‘when’ rather than ‘if’ when it comes to the 4-rev. Being the first to land a 4-rev is an amazing opportunity for someone to write their name in the history books. However, there are also so many unbelievable freestylers out there, that for all we know some crazy Russian guy might have already done it in his boxers and we just aren’t aware of it.